This morning, as I stood waiting for my Garmin to acquire its signal, I thought about a few things. First thing was the weather. The temperature was hovering around 50 degrees but it felt even colder due to a chilly breeze from the west. Second, I'd noticed the moon was shining so bright that I really didn't need my headlamp, even at 4:00 AM. 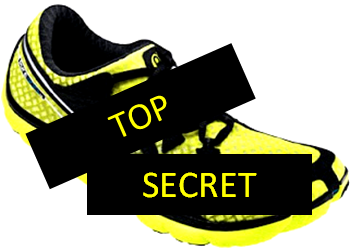 The third observation was that I felt reasonably comfortable standing sockless in my new secret pair of test shoes, that are designed to be used with or without socks. There are people who dislike socks (or shoes for that matter) and prefer to be barefoot as much as possible. I'm not one of them. The idea or running without socks has never appealed to me and the one time I tried it (with my Hattori's) resulted in bad chafing from a hot spot on the upper. But on Saturday, when I was selecting the shoes that I'd wear for Sunday's race, I tried on the test shoes sans chaussettes and was amazed by how comfortable they felt. The test shoes are tight on the side opposite my big toe and I've managed around that by wearing the thinnest socks I have. When I tried the shoes without socks I felt like I'd gained some room. I considered choosing these shoes (sockless) but I didn't want to try something so risky on race day. I decided that I'd try going sockless a day or so after the race. While my feet felt fine as I waited to run, I knew I wouldn't understand the experience until I put my shoes to pavement. I could tell as soon as I'd taken ten steps that a lack of socks would not be a problem. I made my way up the road feeling both energetic and comfortable. With the cool air and low humidity, it was a pleasant running experience. 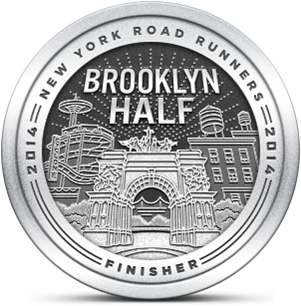 I felt like I was moving better than I had on Sunday, and I had no problems with rubbing or chafing. However, even without socks, these shoes still felt a little too tight during the run. It was interesting to run this way and, with the very minimal shoe design and no socks, it's probably the closest I'll ever come to running barefoot. For me, that's close enough.